UPDATED PRICE! 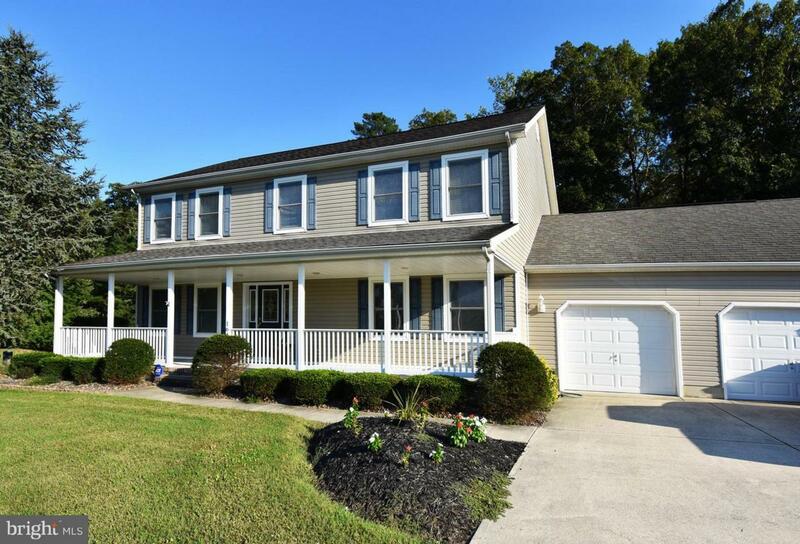 Pretty 5 bedroom/3.5 bath home with great outdoor spaces, humongous garage and a bright, light-filled sunroom, just one house down from the community boat ramp and marina! Lovely lot backs to trees with attractive landscaping, roomy patio and great yard for entertaining (hooks ups for a fish cleaning station too!). The covered front porch has welcoming curb appeal, and the oversized garage holds your big vehicles, beach toys and tools as well! Open layout has a cozy living room, large dining room with a glimpse of the water and a great kitchen with a long breakfast bar and tons of cabinetry. First floor bedroom has a full bathroom and large walk in closet. Dining room and kitchen freshly painted for a modern look. New brushed nickel lighting fixtures, too! The cheerful sunroom has a cathedral ceiling and glass all around to take in those beautiful backyard views! Upstairs, the luxurious master suite with corner windows, walk in closet and ensuite bathroom with its wide, walk-in shower is sure to please, while 3 additional bedrooms and a full bath offer plenty of room for family and/or guests. Reasonable HOA fee is only $330/yr and covers security, snow removal & maintenance of the common areas and roads. Inclusions Tv And Cabinet in Family Room Sunroom Furniture.